The second chapter of Elite Dangerous: Beyond will release at the end of June. 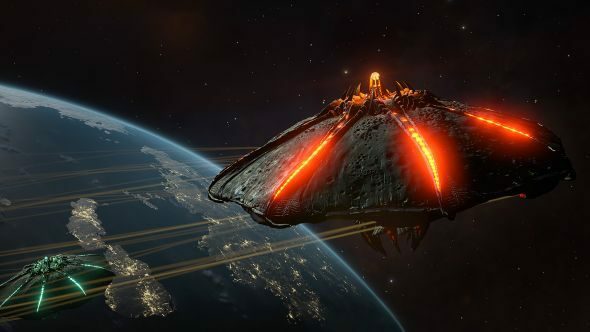 An announcement from Frontier released today revealed that commanders will have access to the new content from June 28. Beyond Chapter 2 is the first of two small mid-season updates, which will be followed up by a major update in the autumn. Once it launches, you’ll get access to a whole bunch of new missions, adding to the wing missions introduced in chapter one, with settlements to explore as the ever-present Thargoid threat continues to grow. There’ll also be a new Chieftain variant, the Alliance Challenger, which operates as a frontline vessel capable of soaking up plenty of damage. Elite Dangerous is definitely worthy of a spot on our list of the best space games, but there are some other great ways to explore the stars on there too. The update also includes new installation interactions, allowing commanders to scan and interact with Space Installations. You can disable outer turrets, source data from the comms array, and steal materials from the cargo bay. Of course, the ever-growing Thargoid threat means that no update would be complete without, well, more Thargoids. The Beyond teaser trailer, which you can watch below, gives us a peek at new Thargoid scout ships. Those ships buff one another when they’re close together, making them easy to take out if you come across a lone ship, but a significant threat if you find a bunch of them. There’ll be a full changelog made available for Beyond: Chapter 2 when it launches next month.